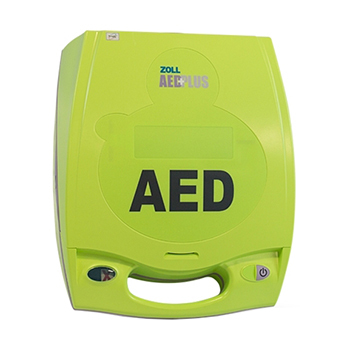 Need an AED for an event in case of an emergency? 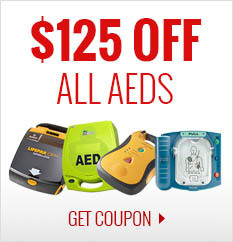 CPR Savers offers AED rentals, a low-cost alternative to buying a brand new AED. Reserve an AED for the timeframe you need, find out your estimated fees, and get the remainder back when you return your AED in good condition! 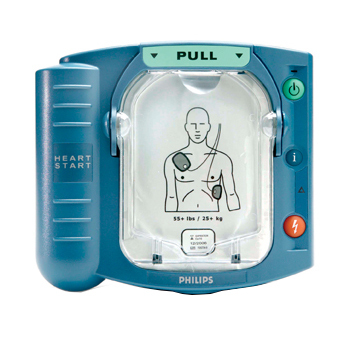 We offer the Philips Onsite, Zoll AED Plus, and the HeartSine Samaritan Pad 350P. AEDs come with a carry case, batteries, and pads. *For rentals lasting 60 or more days, rates may be negotiated. Cost may be deducted from your deposit for excessive physical damage (dents, tears, etc.). Cost may be deducted from your deposit for any functional damage. Cost may be deducted from your deposit for missing or used pads, missing or exchanged batteries (noted by serial number), or missing or damaged cases. Transit times will not be charged against you. 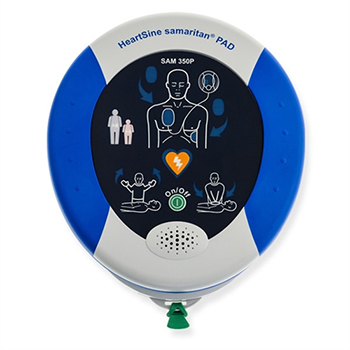 Charging period will begin as scheduled (even if the AED arrives ahead of time) and end once the AED is shipped from your location. Note that due to high demand during the summer seasons, we may not be able to accommodate everyone's time requests. Please be sure to reserve a unit well in advance.